PGP, or Pretty Good Privacy, is an encryption program used for signing, encrypting, and decrypting files, texts, emails, as well as partitions. 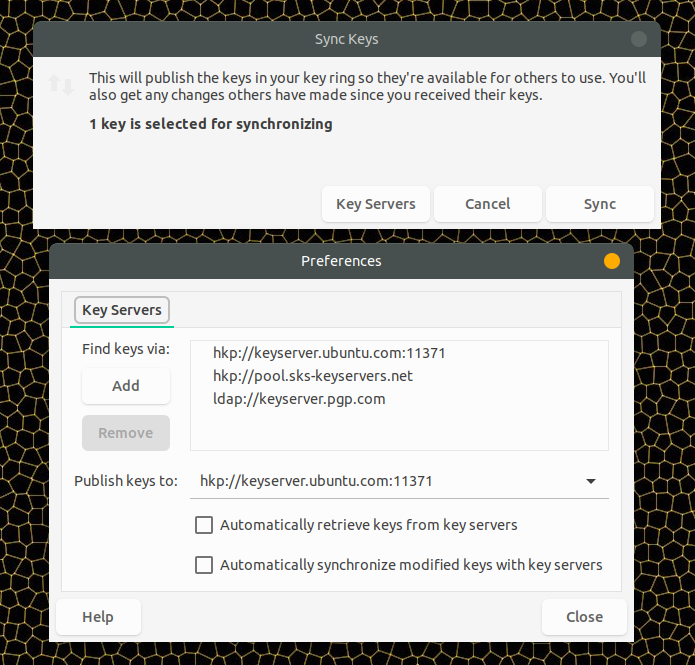 The instructions below work in any Linux distribution which has Seahorse (Passwords and Keys) app installed by default or installable via its repositories. 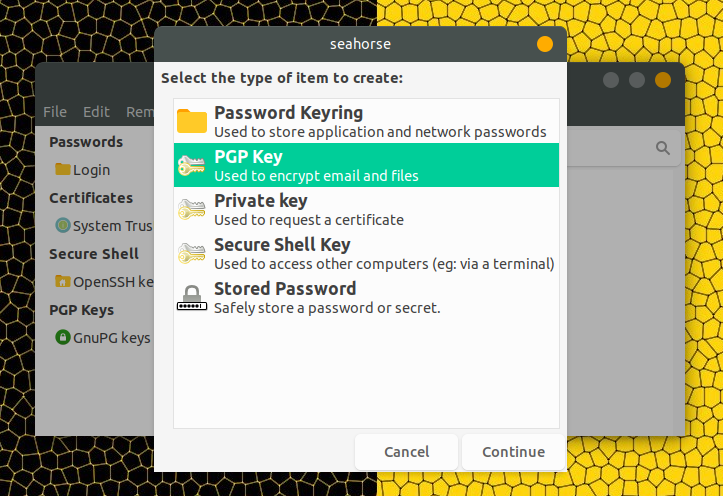 Among the Linux distributions that should have Seahorse (Passwords and Keys) installed by default are Debian, Ubuntu (both old versions with Unity as well as newer version that use GNOME), Linux Mint, Fedora, Ubuntu MATE, and more. 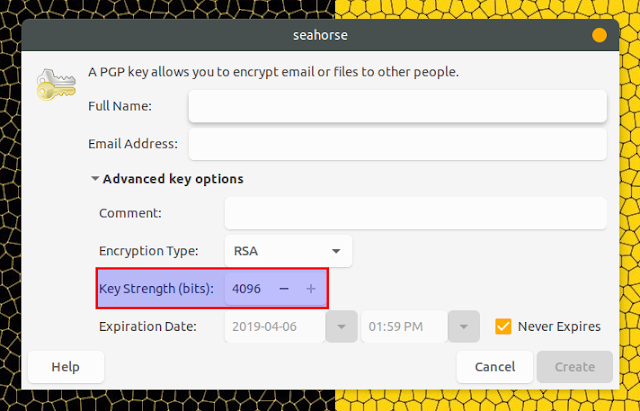 Creating a PGP key can be done using a GUI application, called Seahorse, which shows up as Passwords and Keys in the menu. 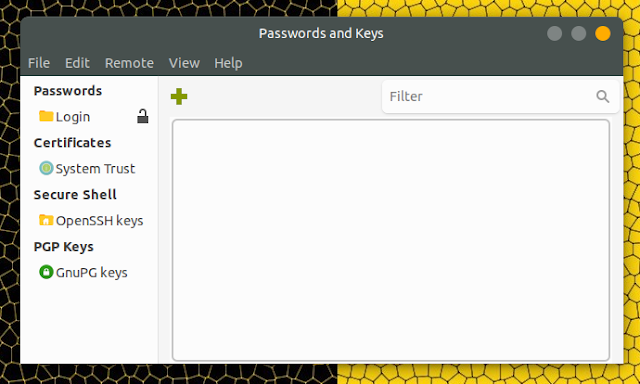 Once you have added all the required information, click Create. Wait for a bit and your new PGP key should be listed in the Passwords and Keys application, under PGP Keys. Set the Publish keys to option to the one containing ubuntu.com, then click on the Close button. 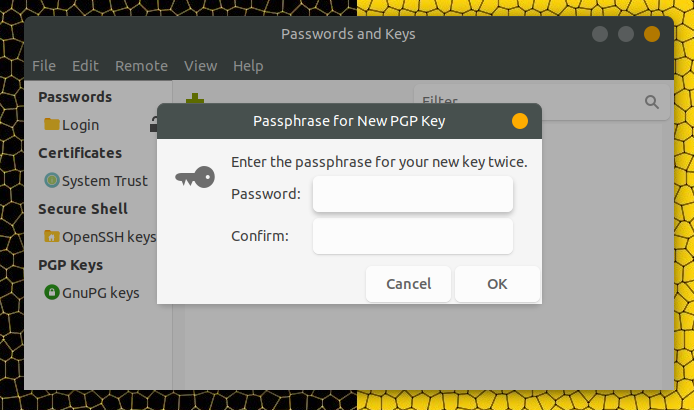 If you need your PGP key public fingerprint, simply open Passwords and Keys, double click your PGP key and look on the Details tab.